In early November 2017, media outlets hailed the Paradise Papers as a major scoop: 13.4 million leaked documents revealed the financial details of some of the world’s leading brands, politicians, sports stars, and musicians. But this was to be no repeat of last year’s Panama Papers, in which well-known names appeared relating to criminal acts like “corruption,” “tax evasion,” and “money laundering”; the Paradise Papers failed to reveal a single crime. So why was it considered news? The general public’s views of “right” and “wrong” are on this and many other occasions at odds with lawful definitions of “legal” and “illegal.” While the latter express a state’s interests in sanctioning certain exchanges or behaviours (i.e., are an expression of power and an attempt to manufacture a specific type of social order), the former are social beliefs about the legitimacy of certain acts, which may or may not coincide with the legal definitions. Bono buying a stake in a Lithuanian shopping mall, or Lewis Hamilton importing his private jet to the Isle of Man might be perfectly legal, but the general public does not accept it as moral or legitimate. These are extraordinarily wealthy people who, with the help of tax advisors, avoid their public duty of contributing the same rate as lower earners to the common pot. When a private estate acting for the Queen invests in offshore private equity funds, operating in infamous tax havens like the Cayman Islands and Bermuda, it appears that she is maximizing financial gains by using a service closed to, and at the expense of, the majority of her own subjects. Such discrepancies between the practices of the wealthy and the moral repulsion felt by ordinary citizens are common. The practice appears to be illegitimate, but it is legal. The opposite phenomenon can also be observed. A practice may be considered morally legitimate, but is in fact outlawed. Cannabis use is illegal in most countries, where significant parts of society see it as completely legitimate. Since legitimacy refers to moral beliefs that are not necessarily shared uniformly in a society, social attitudes towards illegal products and services often vary considerably between social groups and at different points in time. Take the history of cocaine, which went from medical breakthrough to scourge of society within a hundred years. Discovered in Germany at the end of the 19th century and used legally as an anaesthetic for several decades, it was prohibited in the mid-20th century as a result of religious and moral concerns, especially in the US. Currently, UK law lists cocaine as a class A drug in which possession can result in seven years in prison, and its supply and production is punishable by life behind bars. La Salada Market. Party of Lomas de Zamora. Great Buenos Aires Argentina. by Claudio Vallori. CC-BY-2.5 via Wikimedia Commons. Changes in the law in line with changes in public morality work in both directions. Where cocaine went from legal and accepted to illegal and unacceptable, homosexuality, for instance, followed the opposite trajectory. Punishable by the death penalty until the 19th century, homosexual behaviour has been gradually decriminalised in the UK to reflect prevailing social attitudes, culminating in the legalisation of gay marriage in 2014. But simply legalising something—be it a product, service, or behaviour—due to a change in social attitudes is far from simple. To give an example of the complexities involved, consider the case of La Salada in Argentina, Latin America’s largest market for counterfeit clothing. 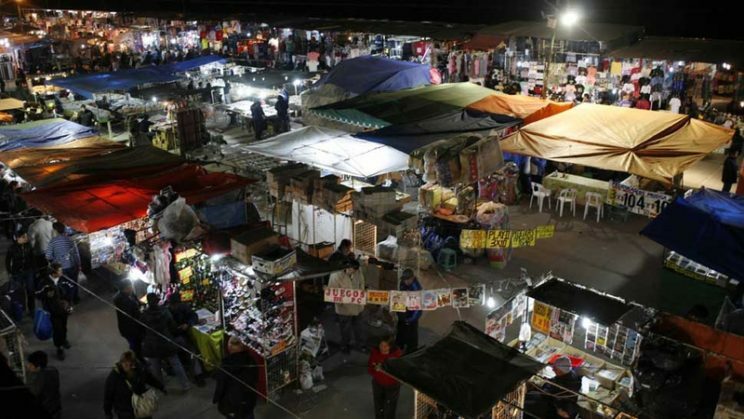 Argentine society has rather ambivalent attitudes towards the market, but on the whole tolerates it because it provides clothing for mid- to low-income families that could otherwise not afford such goods. Politicians tolerate it on the one hand for the same reason, and on the other hand because tolerating it generates political support and employment. So why not legalise it? Legalising La Salada would involve lifting regulations on safe working practices (clothing is produced in sweatshops that break numerous labour laws), lifting trademark laws (clothing is illegally branded with logos such as Nike, Adidas, and Disney), and enforcing business taxes. The effects of this would raise the prices of clothing, thereby nullifying the positive effects of the market, and the very reason for it being socially acceptable. Besides that, lifting trademark laws is simply impossible. Featured image credit: good bad opposite choice by Ramdlon. Public domain via Pixabay. Jens Beckert is the Managing Director at the Max Planck Institute for the Study of Societies in Cologne, Germany. Matías Dewey is a Senior Researcher at the Max Planck Institute for the Study of Societies in Cologne, Germany. 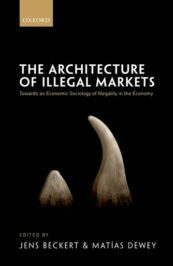 They are the co-editors of The Architecture of Illegal Markets: Towards an Economic Sociology of Illegality in the Economy. Editing assistance was provided by Katherine Walker, Research Assistant and Editor at the Max Planck Institute for the Study of Societies in Cologne, Germany.